1. 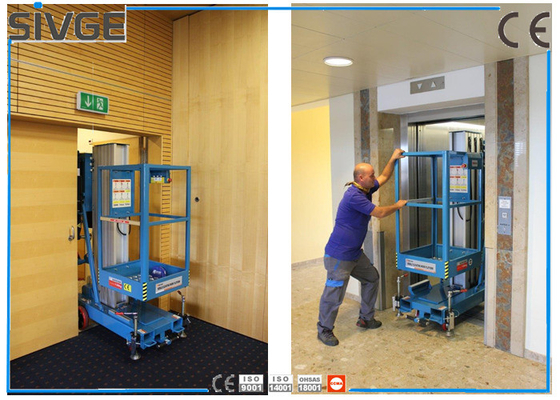 Stable lifting: Adopts seamless transmission between the lifting masts, which reduce swaying. 2. High quality material: Use high-strength aluminum alloy. It's light, easy and convenient to move. This kind of aluminum material usually used for aircraft manufacture. lowering device enable workers to lower the platform slowly to ground if power failure. 4. 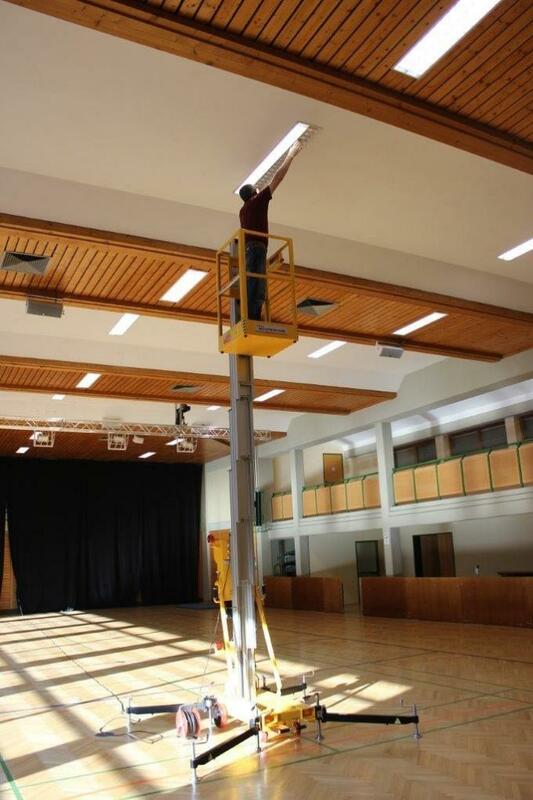 Convenience: As the lifting masts are made of aluminum, it is light and compact. It's easy to move and pass through narrow passages. Office buildings, shopping centers, theatres, hospitals, warehouses, factories, museums, auditoriums, hotels, gymnasium, business/convention center, airports, auto stations and highway toll station etc. Business decoration, ceiling/fixture works, industrial facilities maintenance, lamps and lanterns replacement in halls, maintenance of street lamp, aerial photographs and wall cleaning etc. Low maintenance requirements will save you time and money. · To provide users with pre-sales technical support, and provide users with a personalized selection or design recommendations based on the actual site's needs. · User jointly develop applied to industry-specific special purpose machinery. · In accordance with the order or user requirements, coordination of stocking or production cycle. · Provide a detailed production schedule or project plan to the user. · To provide a lifetime goods services for all Sivge equipments, included equipment maintenance, spare parts supply, provide manuals and video,etc. · To provide remote service support by phone and network freely. · Services for product upgrade or remanufacturing. · To provide more services about Aerial Work Machinery and related industries, such as design, sourcing, rental, etc.